What if ~ as seems likely ~ it is a hung Parliament ? The General Election for the United Kingdom of Great Britain and Northern Ireland is rapidly approaching. The latest opinion polls are analysed by UKPollingReport and they continue to suggest a "hung parliament" - that is, no party having an overall majority of seats. What is the legal position in the event of such a Parliament ? 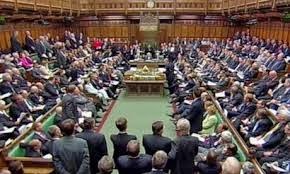 Under our Parliamentary system, the test for whether a Prime Minister can govern or not is whether he (or she) commands a majority in the House of Commons. The situation is expertly considered by Carl Gardner on his Head of Legal Blog - Ed can enter No. 10 without Nicola's keys - and I recommend reading of his post. Who may stand for election to Parliament? In a recent conversation, someone asked whether a member of the Scottish National Party (SNP) could stand for an ENGLISH seat in Parliament. As a matter of law, the answer is Yes. This is because it is individuals who stand for Parliament and not political parties. 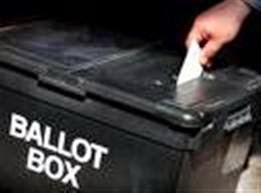 Of course, it is doubtful whether anyone standing for the SNP in an English constituency would ever be elected but that would be a matter for the electorate in that constituency. For that reason, from time-to-time, there will be a Member of Parliament who is an Independent - that is, independent from any political party and in no way beholden to the Party Whip systems. Independent MPs are quite rare these days but, in the 20th century, there were quite a few - see the lists in this Wikipedia entry and also see The Guardian - Other Famous Independent Parliamentary Candidates. One notable recent independent MP was the broadcaster Martin Bell - elected as an Independent MP for Tatton (in Cheshire) from 1997 to 2001 having stood on an anti-corruption platform against the sitting Tory MP, Neil Hamilton. At a time when "human rights" are under attack from certain politicians and elements in the popular media, a superb new website has arrived - Human Rights Information to Share (or Rights.info.org). Many congratulations to barrister Adam Wagner and those behind this initiative. The need to help people understand their rights and to value those hard-fought rights has never been greater and Rights Information goes a long way to help. Here you can see Everything you need to know about rights, find out what human rights do for us, get information on 50 cases where human rights have improved the law, sign up for a daily newsletter and there is much more! Please share the link to Rights Information with your friends and work colleagues. The decision by the Director of Public Prosecutions (Alison Saunders) not to institute criminal proceedings against Lord Greville Janner (see previous post where the decision is explained) has resulted in outrage in certain quarters. Questions have been raised about Janner's dementia despite the point that four medical practitioners (two from each "side") had advised that he was not fit to stand trial - see, for example, The Guardian 20th April - Further questions raised about whether or not Lord Janner is fit to stand trial. A considerable number of politicians have lined up to criticise the decision. A letter to The Times by various politicians urged reversal of the DPP's decision - see The Independent 22nd April. 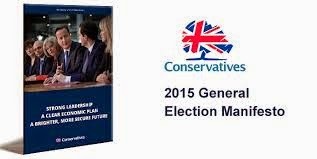 The Conservative Party manifesto states that the terms of British EU membership will be renegotiated and an in/out referendum held. The Human Rights Act will be "scrapped" and replaced by a British Bill of Rights. As for legal aid, the document merely informs us that they would continue to review our legal aid systems, so they can continue to promote access to justice in an efficient way. The statement about legal aid continuing to promote access to justice is questionable since legal aid has been removed from many areas of civil law, considerably curtailed in Magistrates' Courts and means tested in the Crown Court so that many will end up paying a contribution to their legal fees. Just what the manifesto means by review is debatable but it seems unlikely that they would be proposing any reinstatement of legal aid into areas where it was withdrawn under the Legal Aid, Sentencing and Punishment of Offenders Act 2012. 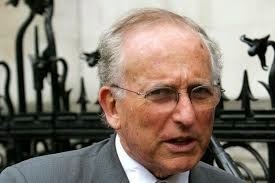 Lord Janner of Braunstone (aged 86) who suffers from dementia is not to be prosecuted for 22 alleged serious sexual offences. The reasons for this decision are set out in a statement issued by the Director of Public Prosecutions. Please read the statement in full. 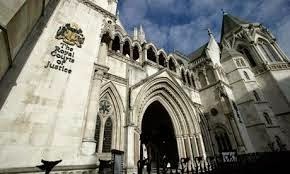 The Crown Prosecution Service (CPS) applies a well-known two-stage test in deciding whether to prosecute: (1) the evidential test and (2) the public interest test. The CPS considered the evidential test to be met in relation to all the allegations. However, the CPS decided that the public interest test was not met. A poll conducted for the Criminal Law Solicitor's Association has concluded that the British public believes that legal aid should be a right and not a benefit see Solicitors Journal. 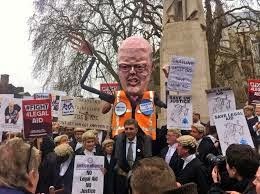 The CLSA plans to hold a rally in Westminster on 23rd April to seek to make the governmental attack on legal aid more of an election issue. A Guardian animation - Superheroes battling for legal aid - also highlights the parlous state of legal aid provision following the implementation of the Legal Aid, Sentencing and Punishment of Offenders Act 2012 ( LASPO). 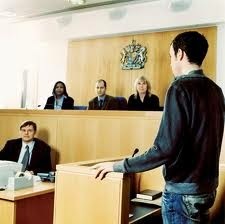 Cuts to legal aid have been implemented under the mantra of the need to save money in times of austerity. 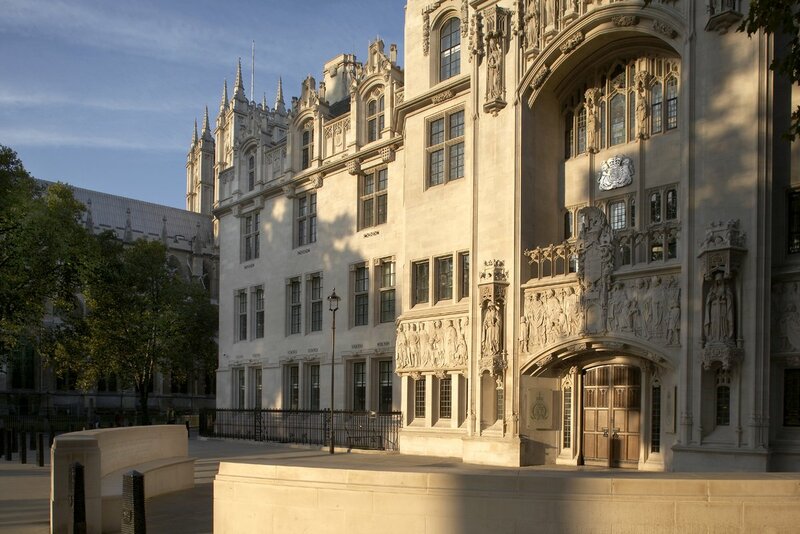 Whilst access to justice - at reasonable cost - ought to be a fundamental democratic right, it is a great sadness that there seems to be no Party with a chance of being in government that is willing to return to anything like the pre-LASPO arrangements. The lack of legal aid is compounded by the recent imposition of considerable court fees - see Court fee increases approved (6th March) and Criminal Court Charges (4th April). "EUROPE" is one of the election issues and, in the area of criminal law, there are many "Euro-myths". In a video, Professor John R Spencer of Cambridge University tackles some of the myths - Is EU criminal law a threat to British justice? 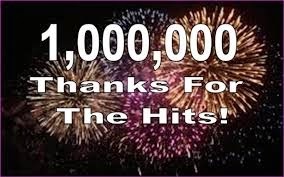 I am absolutely delighted that this blog has today exceeded 1,000,000 page views. 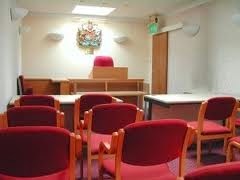 So many thanks to all of you who take the trouble to follow my occasional ramblings about the law in England and Wales. You may be assured that - God Willing - I will continue for some time to come. The blog started on 14th January 2010 - a winter's night when I felt rather bored and thought why not write about the second love of my life - English law. I was impressed by the doyen of bloggers - CharonQC and also by Adam Wagner's efforts with UK Human Rights Blog and Carl Gardner's Head of Legal blog. Thankfully - they all continue to provide excellent and inspirational material. 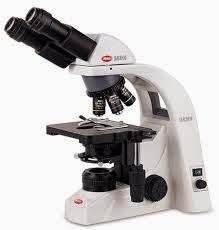 This blog had 500,000 hits by 25th July 2013 and will hopefully plod on to offer further observations which never seek to persuade or dictate but merely to try to inform. Criminal Court Charges - again ! The following tweet requires little by way of explanation. The relevant legislation may be seen via my earlier blogpost - Criminal Court Charges. The impact of this on the rate of guilty-pleas remains to be seen but it seems likely that some will opt to plead guilty rather than face this particular charge. Of course, if they do that, they will then often find themselves hit by a fine, costs and so-called "victim" surcharge. All of this is ample illustration of the parlous state of justice in this country today. The fact that the court has to impose the charge irrespective of means is disgraceful. 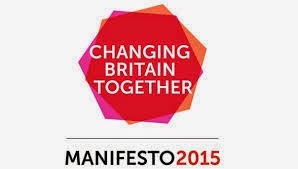 Labour would work to reform the European Union, and would retain our membership of it. The Human Rights Act 1998 would be protected and the European Court of Human Rights would be reformed rather than the UK walking away from it. The precise "reforms" that would be sought are not mentioned. Also, reform of the European Convention system is not a matter within the gift of the British government alone and the Council of Europe would have to be persuaded to introduce reforms. The Judiciary has announced a new initiative aimed at improving diversity in the role of Deputy High Court Judge. This new route to the High Court is explained by Lady Justice Hallett in this video. Places on the programme are limited to women, BAME candidates and those from a less advantaged background, because these are the areas where the judiciary is said to be significantly less representative of society. Taking part in the programme will not guarantee appointment by the Judicial Appointments Commission as a Deputy High Court judge or success in a subsequent High Court exercise. See also Legal Business 8th April 2015. Coroners perform an important and very long-established role. In recent times there have been a number of important reforms brought about by the Coroners and Justice Act 2009. His Honour Judge Peter Thornton QC has recently been re-appointed as Chief Coroner of England and Wales - (an office specifically created by the 2009 Act). His new appointment is until 1st October 2016. The Judiciary website has published a considerable amount of guidance relating to Coroners. On 13th April, the Prosecution of Offences Act 1985 (Criminal Courts Charge) Regulations 2015 enter into force. They are well explained in this article in the Law Society Gazette 27th March. Suspects pleading not guilty in the Crown court will risk paying a court fee of £1,200 if convicted under guidelines slipped into legislation without debate in the final days of the last parliament. Law Society president Andrew Caplen described the new charges as ‘outrageous’ and a threat to fair trials. 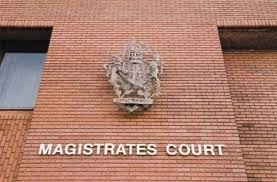 The Magistrates' Blog describes the fees as "Callous and Destructive."